Prvi Partizan, located in Užice, Serbia, is one of the world’s largest modern ammunition manufacturers. The company has supplied quality ammunition for the Serbian military forces since 1928. 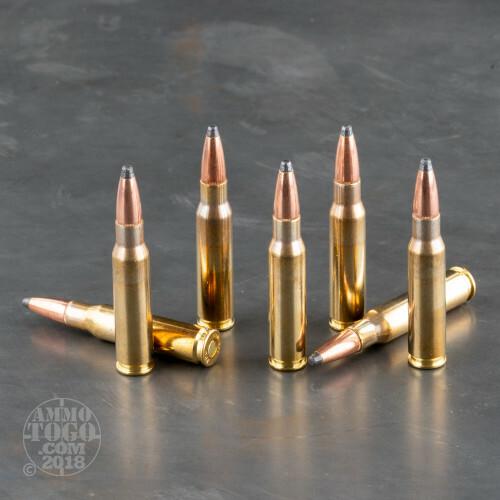 Also producing loads for discriminating civilian shooters, Prvi Partizan offers a variety of ammunition at price points perfect for the high-volume or budget conscious shooter. 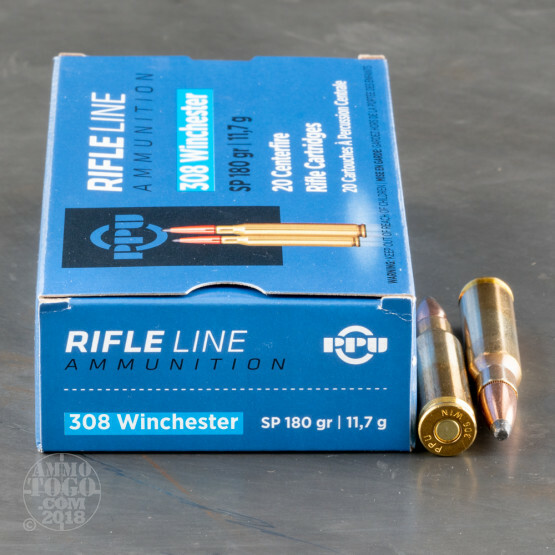 This package contains 20 rounds of Prvi Partizan .308 Winchester (7.62x51) ammunition. Each round is loaded with a 180 grain soft point projectile. These rounds produce impressive expansion, effective energy transfer, and dependable long-range accuracy, making them perfect for hunting medium to large game animals, including whitetail deer, antelope, and wild boar. 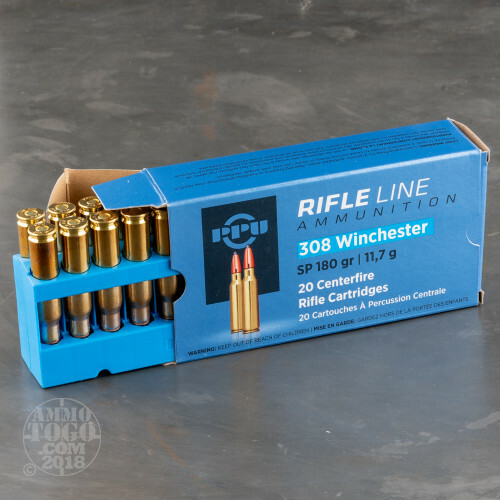 This ammunition is factory fresh, boxer primed, and 100 percent non-corrosive. 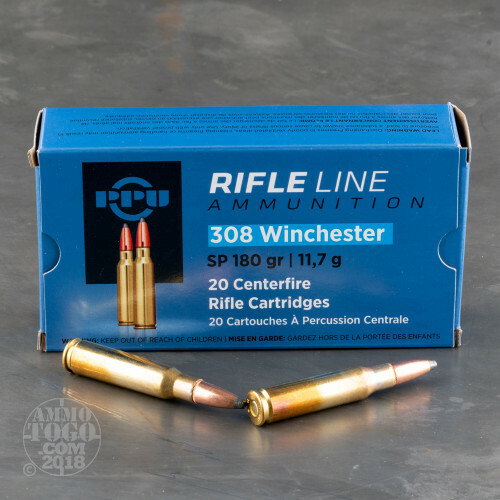 Featuring fully reloadable brass cases, this ammo produces a consistent muzzle velocity of 2542 feet per second and a muzzle energy of 2588 foot pounds.